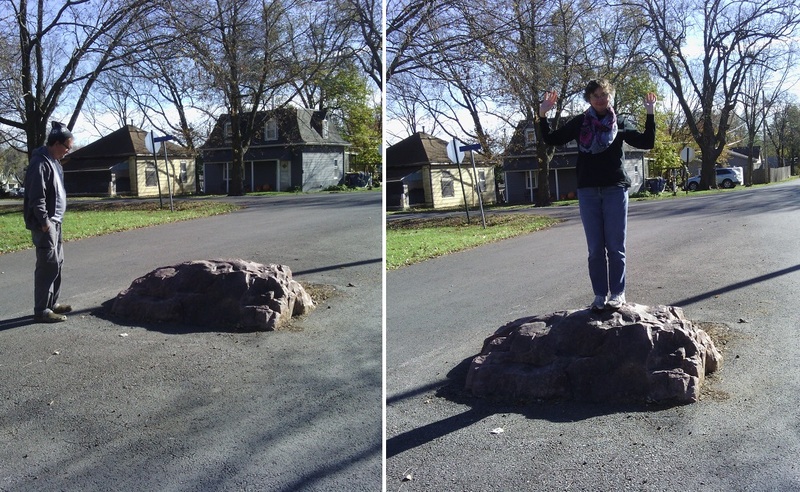 jenny and i drove to mclouth, ks today to see a rock in the road. her brother steve told us about it last week. he said the residents couldn’t remove it, so they just paved the road around it a long time ago. i’m guessing that now it’s a vestigial rock, and at one time it had to resemble a dinosaur egg. 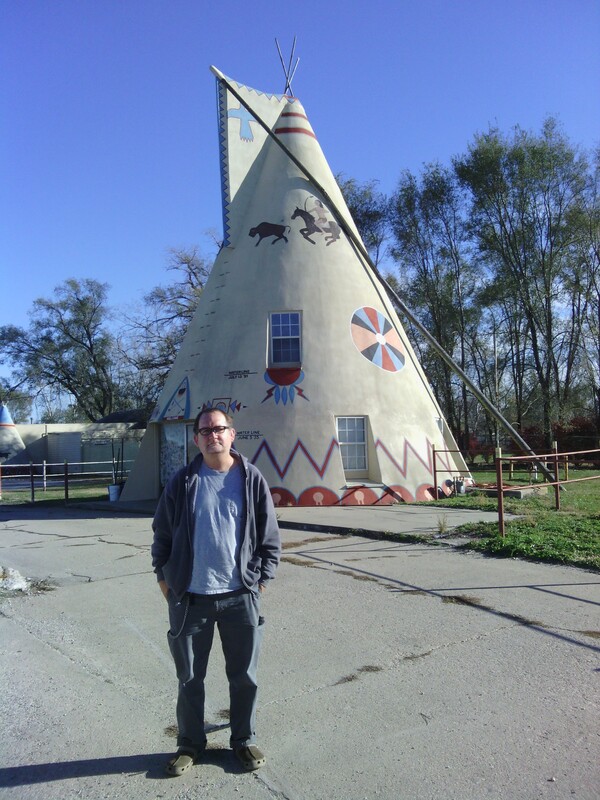 on our way back home, i asked jenny to snap a photo of me in front of a giant tepee outside of lawrence. Hey, did you shave off the five o’clock shadow? haha… i probably shaved a few days before that picture was taken, but the sun really bleaches out the stubble. good pictures. bet that rock has caused some serious damage to a few drunks or distracted drivers. holy cow you’d think they would have made a curve in the road. was someone living in the teepee? looks like it. bet you had a good time . say hi to all of Jenny’s family and have fun and be safe this thanksgiving day. Love to all.